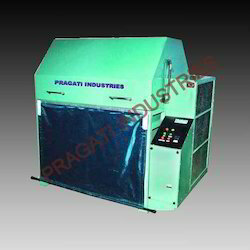 Our product range includes a wide range of wire nail polishing machine. With the help of our experienced engineers, we are able to manufacture, supply and export excellent quality Wire Nail Polishing Machine. The range made available by us is extensively used for effective and speedy polishing of wire nails. Post production, these polishing machines are thoroughly inspected on certain parameters of quality to rule out every possibility of defect. The polishing barrel is loaded with wire nails of 3 to 4 inches on the half size of the barrel fix up perforated lid. These are tumbled for 20 Minutes which helps in removing the chips from nails. If nails are rusty then, the nails are loaded and mixed in a little quantity of paraffin oil (Half litter Kerosene). This is done before the loading of saw dust & tumbled for 10 minutes. Then the saw dust is added in the remaining portion, which is fixed up with a blind lid and is tumbled for 30 minutes. The blind lid and the fixed perforated lid are taken out of saw dust from the barrel by rotating. This process has to be continued for 40 minutes by loading the barrel with fresh saw dust. A bright shining look of Wire Nails is obtained as a result. 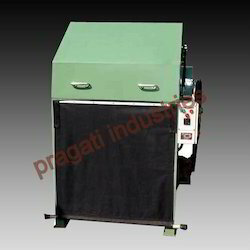 The Saw Dust can be re-used for the first cycle for same process in next batch which ensures the economy of Saw Dust and solves the storage space. To attain a mirror finish of the nails, can use soft leather pieces in second sequence of polishing instead of Saw Dust. 15 to 20 kg of such leather pieces used for out 250 kg wire nails in polishing barrel. The leather pieces can be re-applied one after the another for 15 to 20 cycles, till it becomes oily. 30 to 35 kg of such leather pieces used for out 500 kg wire nails in polishing barrel.